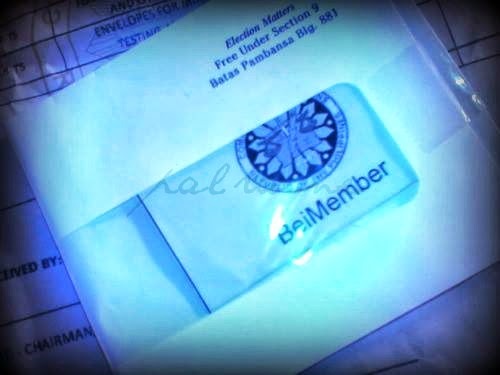 I started serving COMELEC as one of the BEI's at age 18. And for that year of service I encountered different procedures in conducting Philippine Election both Local and National. 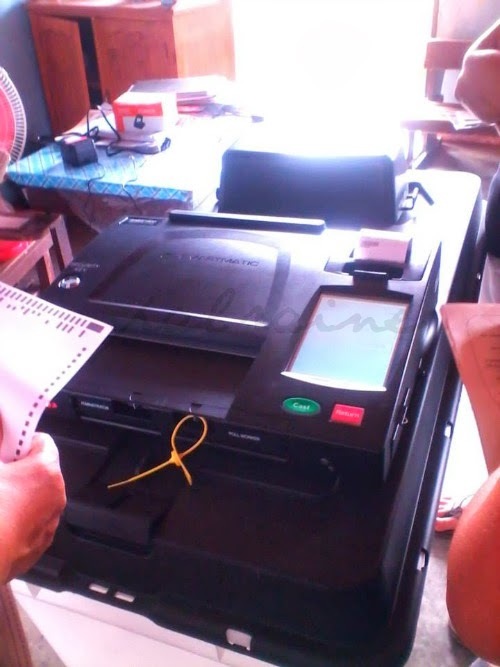 Last 2010, Philippine Election start using the PRECINCT COUNT OPTICAL SCAN or popularly known to us as PCOS machine. In the first Automated Election, as one of the BEI's it was not clear to us on how to operate the said machine since we are out of time with our training on how to handle PCOS procedures. A bit confuse but we need to follow instructions (that time there is only one PCOS Technician assign in our school). Today's preparation is very different aside from the Final TESTING and SEALING we have our COMELEC BRIEFING SEMINAR, which we also have from the past but the only difference is during the BRIEFING the actual PCOS was there already. The actual handling were being instructed to us. 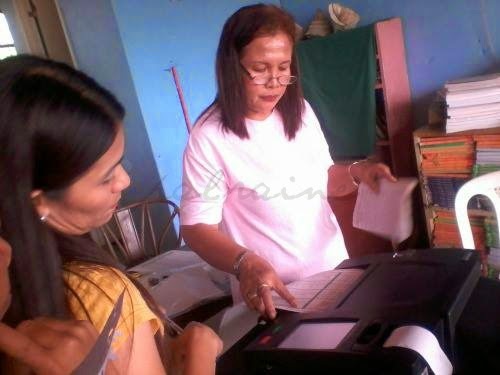 At the day of setting up the PCOS Machine during TESTING and RESEALING the Chairman knows already what to do, assign to do all the procedures stated in the BY-LAWS, the POLL CLERK and the THIRD MEMBER will be the one to assist the Chairman, to look into and to observe if the Chairman is doing the right procedure in handling the PCOS machine. Using the SECURITY KEY or better known as the "EYE BUTTON" and also the BEI's PASSWORD this will TURN-ON the machine. If one enters a wrong password the machine will not start up. This will be the procedure in changing the machine's configuration and turning off the machine. The same process will be use during the day of the Election. Since the Voting proper will start at 7 in the morning. All BEI's need to show up at exactly 5 in the morning to get the voting paraphernalia's at the School Principal office. requires the procedures stated above. What I like about the election now is that all the Precincts are being put into a CLUSTERED/GROUPED PRECINCTS. Compared from the past elections, we need to look for our Precincts which is very difficult to locate because of its room assignment. 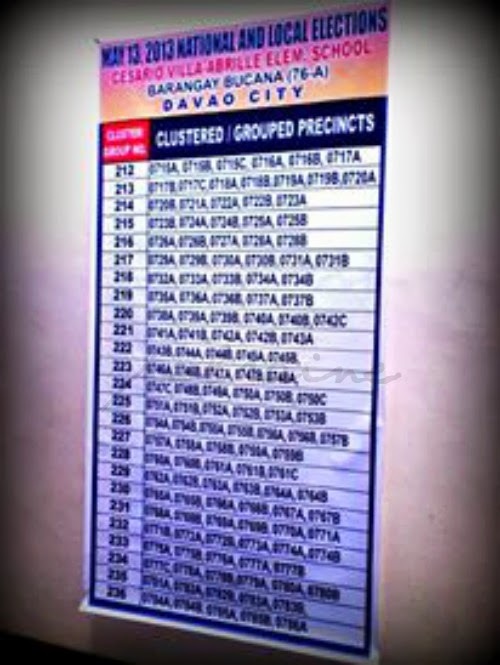 Like as with the CLUSTER, we need to get our CLUSTER then all the precincts are indicated there alphabetically. What is not good here is that all the old voters who seem to have the idea of the old election proceeding they still have this thinking that when they VOTE they have to bring their old precinct number which we don't allow anymore. encourage you to go to your polling precinct before the election)for faster election proceedings. Voting will take you 30 minutes plus the lining outside. No more agonizing thumb mark. Only edible ink. Less drama. But problem occurs when some are not following instructions, using ball pen instead of a marker pen given to them. Others instead of shading they put an X or √ which turns into a BLOTTED BALLOT because they shade it again. That is why their votes are not counted because the sensitive PCOS will not accept it. In our Cluster we have two REJECTED BALLOTS. Another experience here is that we finish early but the problem is we only have one modem available for transmittal and we have 25 CLUSTERED PRECINCT'S sharing the modem and five(5) PCOS TECHNICIAN guiding as with the transmittal. One of the PCOS TECHNICIAN told me that the transmittal will take as so long to transmit the result because COMELEC use GLOBE and SUN instead of a SMART CARD. She is very right, we cannot transmit our result 100% because of its weak signal. Just to compare last year, it takes us only 30 minutes to transfer our result today it takes us 2 hours to transmit aside from one modem use. So far with my experience with today's election, though I don't share COMELEC confidences with the PCOS. I speak in behalf of my fellow countryman, COMELEC should make more training and give more information to all Filipinos beside this is the only job they have happened once every three years. I can say for a fact that this is the most peaceful election, no outbreak of violence happened in my polling precinct. People are generally and patiently waiting in spite of the unavoidable lines. yield a lesson for much improved 2016 ELECTION. Election is coming soon on our country also.your post just remind me that. I love this election automation procedure because I didn't experience any voting problem at all. It's nice to see that the election now is automated and have lots of security features. 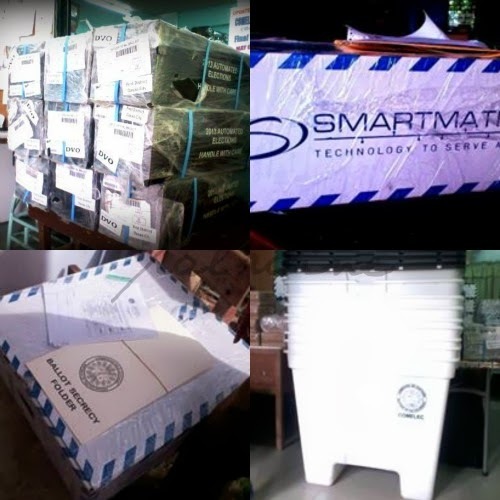 I hope the COMELEC is reading your post so they will further improve their services for the coming elections. I hope so sis Tetcha. Thanks. Totoo yan. Sana next time pag sinabi na tingnan ng mabuti at alamin and TAMA dapat they have to look for it for speed work na lang sna sa part namin. Too bad I wasn't able to vote last elections, I haven't had a chance to see or use the PCOS machine.